Universal application as either Return or Bridge. 1" thick worksurface and side panels are water-, scratch- and dent-resistant. Full-height modesty panel. Adapts to right- or left-handed configurations. Fitted with one wire management grommet for increased organization and safety. Protective 3 mm edge banding. 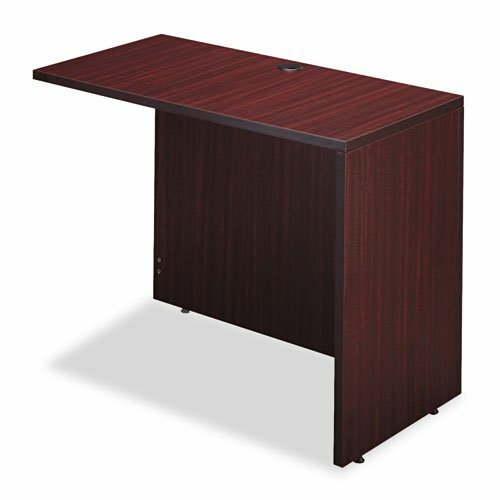 Color: Mahogany; Overall Width: 42"; Depth Maximum: 23 5/8"; Overall Height: 29 5/8". 1" thick worksurface and side panels are water-, scratch- and dent-resistant.